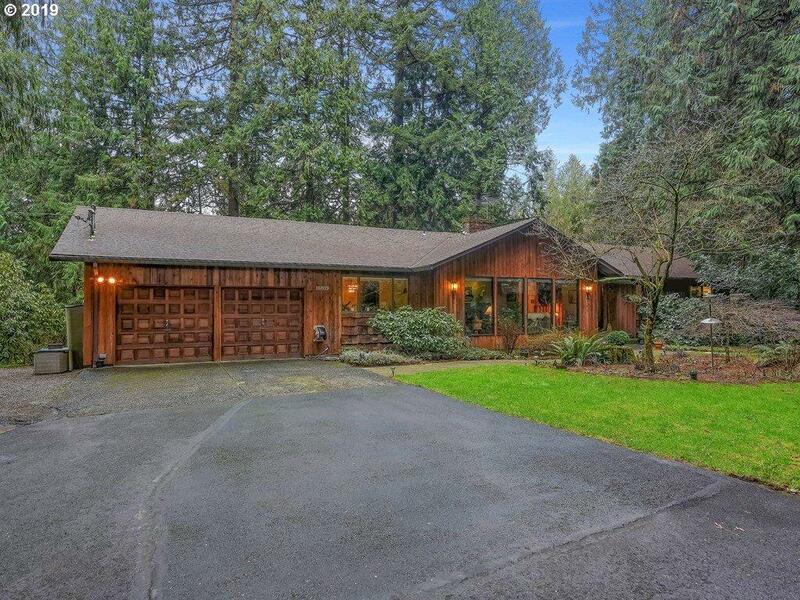 Close in sprawling daylight ranch with beautiful treed setting. Kitchen with Hayes cabs, Corian countertops, SS appliances & Marmoleum floor. Rustic hardwoods, 2 massive country brick fireplaces & large windows to appreciate the views. Partially finished basement with pool table could easily be finished! Relax on the covered deck in the hot tub or play in the garden, it's all here to enjoy. Newer roof & heat pump. Room for the toys!